It's Tuesday again and with yet another month flying by our theme over at Everybody Art Challenge is Halloween. For my card I have made a Halloween party invite. I really liked this image when I seen it on the Make It Crafty website. I've coloured the image with Copics and distressed with Prisma Pencils and Distress Ink - Weathered Wood. The paper is Basic Grey and Echo Park. I found some green wool whiched lended itself to a gnarled tree. Finally a spider embellishment and plastic sentiment was all that was needed to finish the card. Wow fab halloween card Jenny! Fab card and gorgeous colouring,thanks for joining us this week at Cupcake Craft. Oh WOW Jenny this is brilliant. Wow, your card looks really great !!! 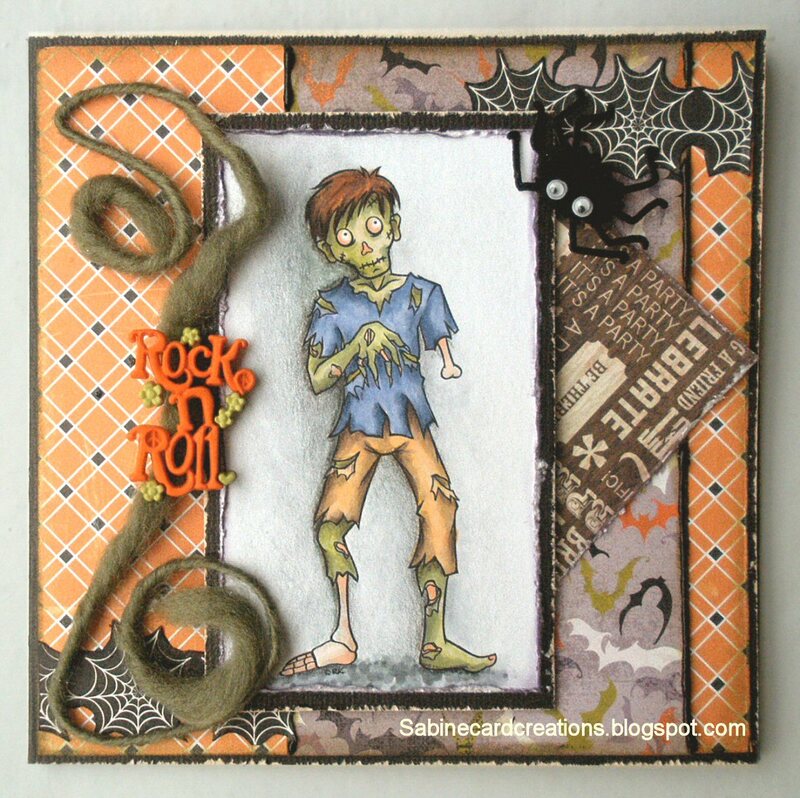 Wow this is a fantastic Halloween card.Thanks for playing along with us at stamps&fun=CREATIVITY. Super fun Halloween card. Love that spooky image and your coloring.